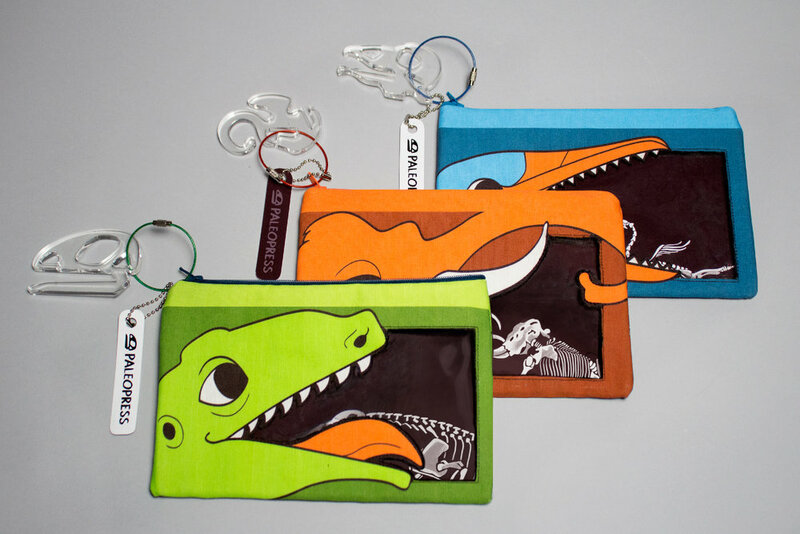 PaleoPress is a line of pencil bags inspired by prehistoric creatures. Each bag is uniquely designed and holds an informative picture card relevant to the animal. They are intended for children ages 6-12.